This page contains all the pieces specifically for building and flying the 9MM EPP P-51D Mustang. The Mustang P-51D is a favorite of modelers and we are producing our version of the model Leadfeather designed in 2009. He designed it to have some 3D capabilities giving the modeler a plane that not only looks great but can be flown as more than just your typical circle flyer. We have put the ease of keylocked foam construction and the simplicity of flat foamies into a well performing version of this WWII classic. With our standard completer kit below you can get unlimited vertical performance and the great profile of the P-51D. As with our other models, our P-51D instructions are supplied in paper form with the kit but are also available on the website with expanding color pictures of all the steps for clarity. 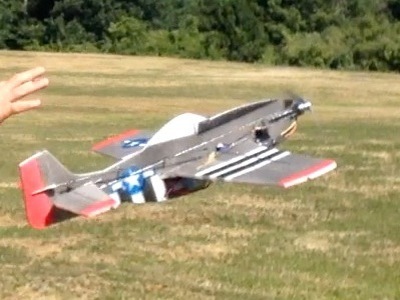 The EPP P-51D YouTube video playlist. This kit uses the Standard 9mm EPP completer below.